Info: The Foamposite One was the signature shoe of Anfernee 'Penny' Hardaway in 1997. The first shoe to feature Nike's innovative Foamposite technology of synthetic leathers surrounding the upper and an icy gum sole for extra grip. 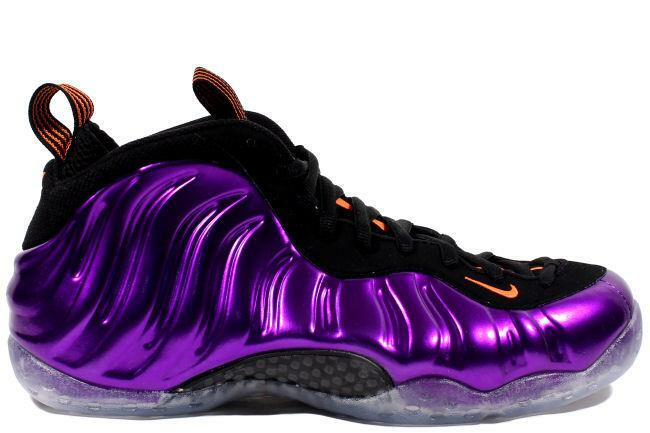 This Phoenix Suns colorway has a metallic purple upper with smooth orange accents. March 2013 limited release.